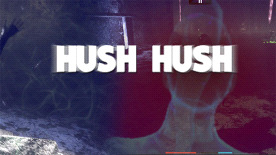 In Hush Hush player is exploring the caves where he must collect all stone carved notes to unveil new story parts and to enter new level. Difficulty increases with each level as more dangerous obstacles have to be avoided. To successfully complete the game, player must carefully choose between patience and action. The more the player runs the more energy/spirit he consumes thus more vulnerable he becomes even to minor traps.